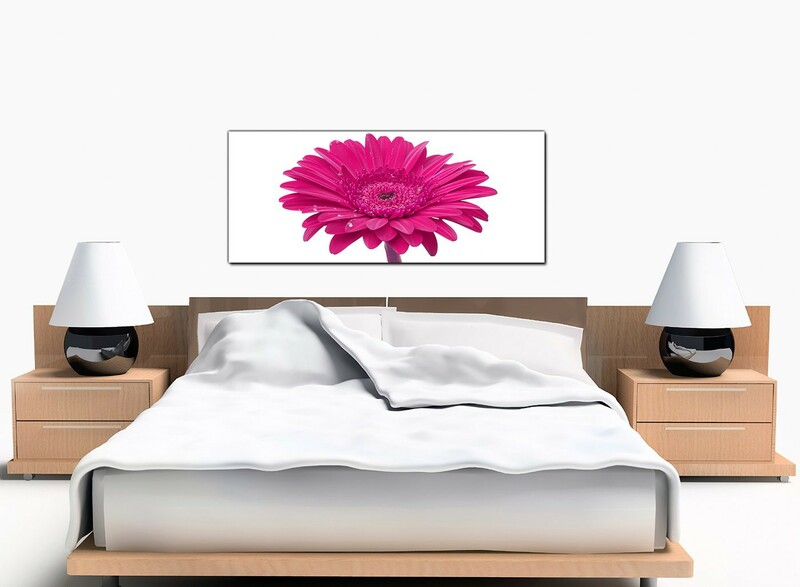 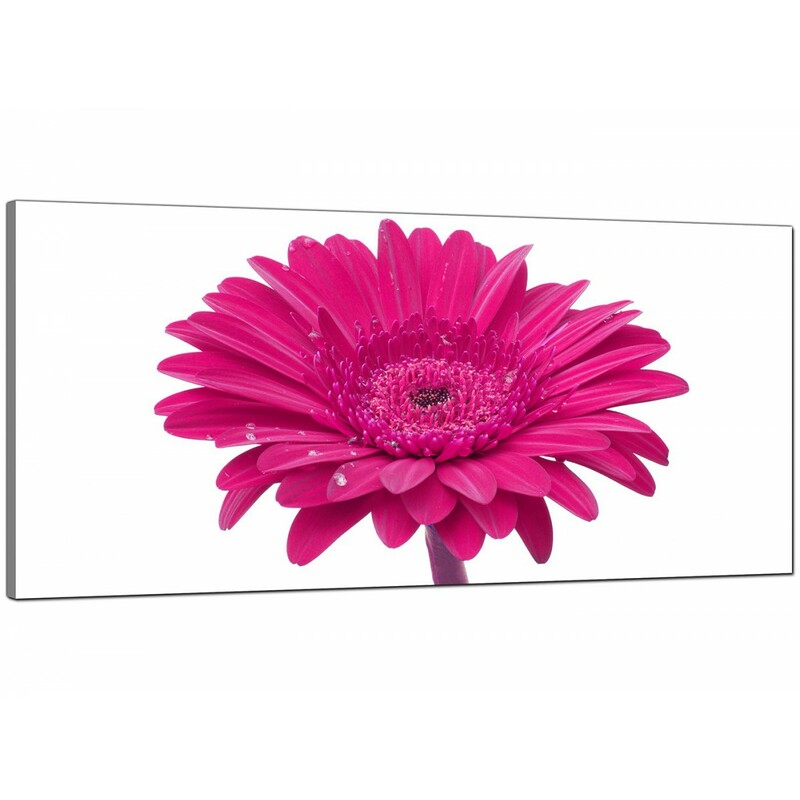 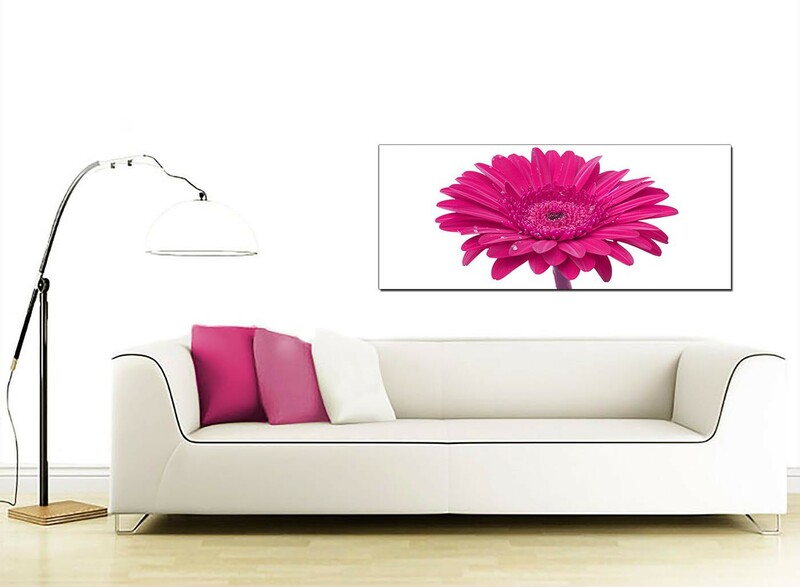 Cheap canvases of a bright pink gerbera. 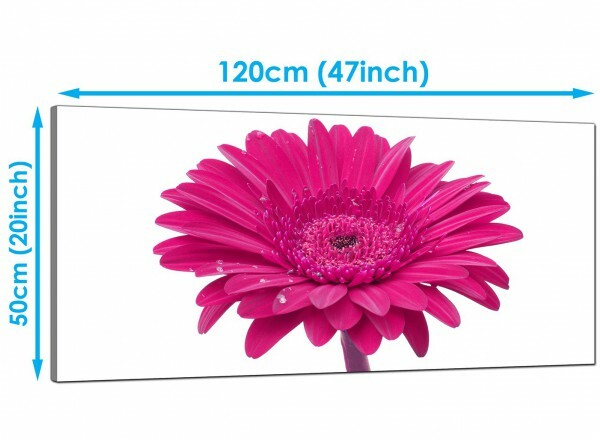 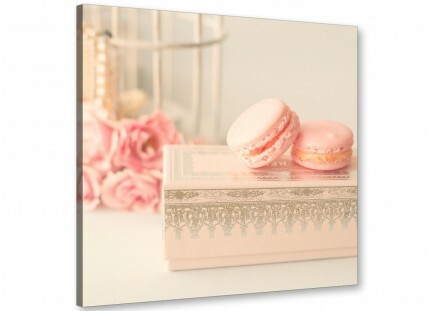 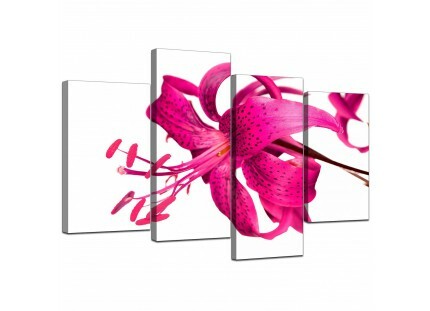 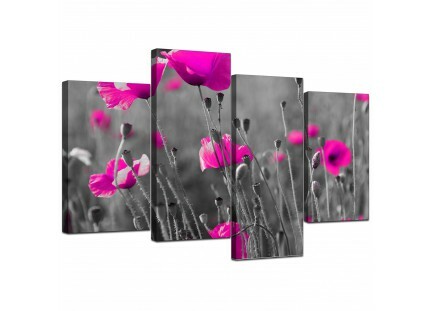 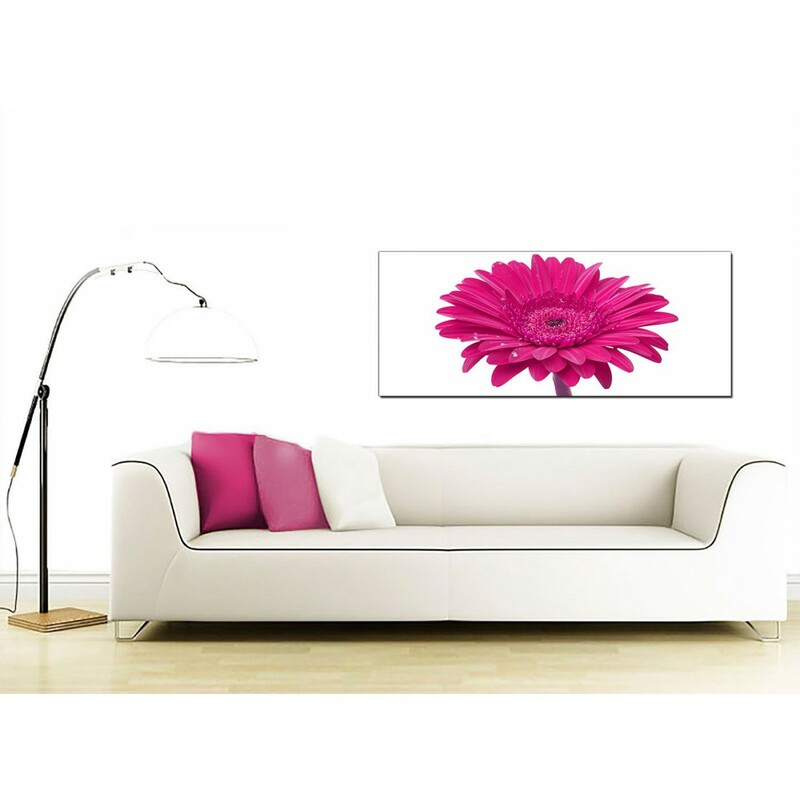 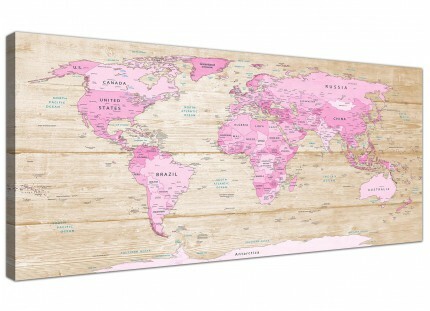 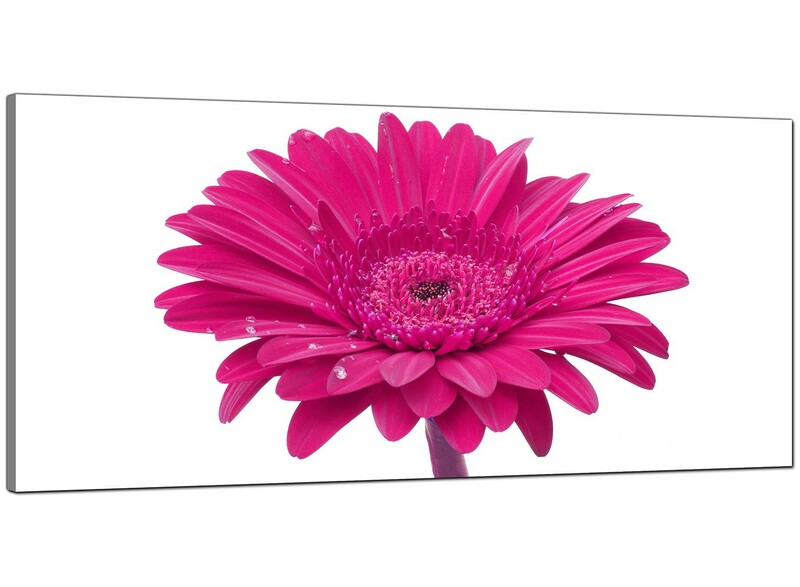 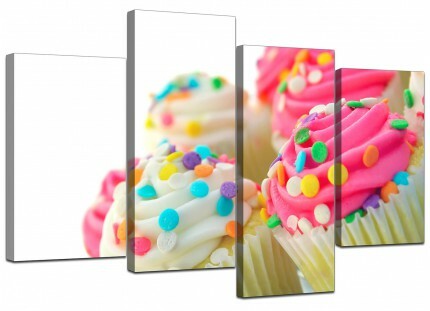 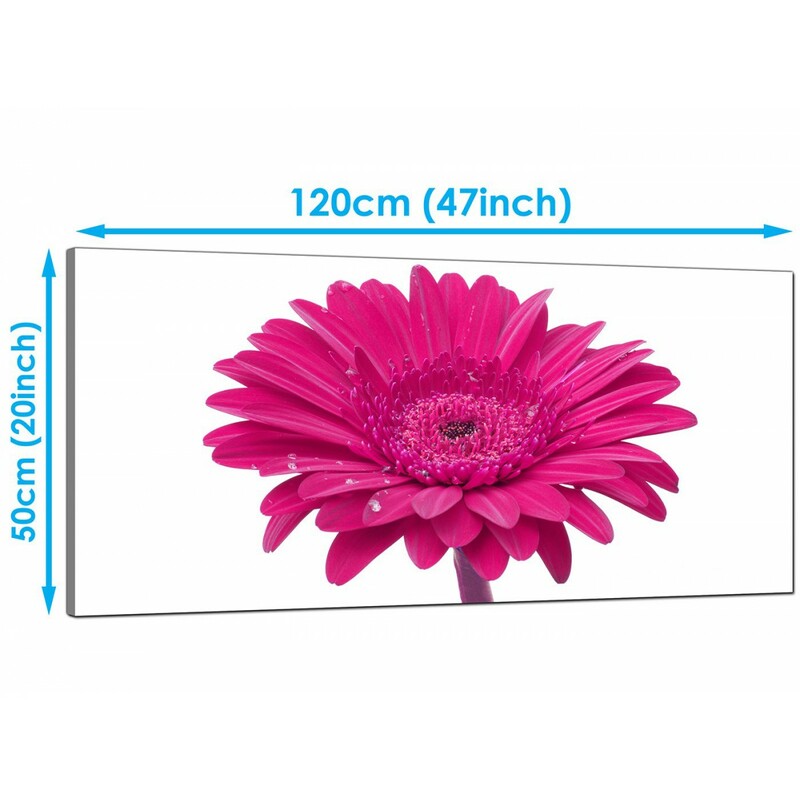 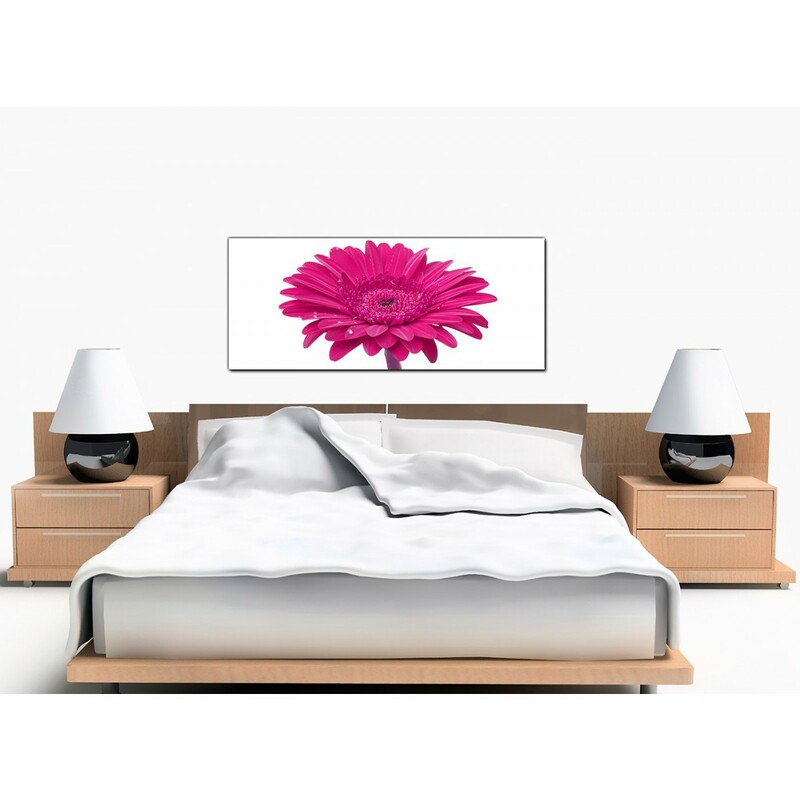 An extra large pink contemporary panoramic canvas wall art. Our wall art is top quality and printed with 75 year fade resistant inks. 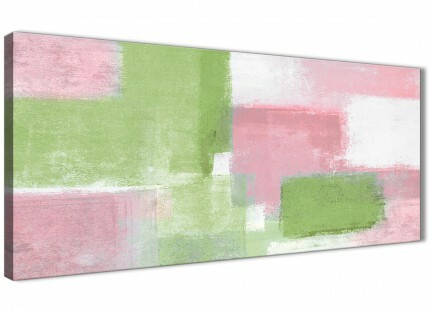 Excellent length for above your fireplace.